A common mistake is to try to draw a clear distinction between “man-made” and “natural” change. 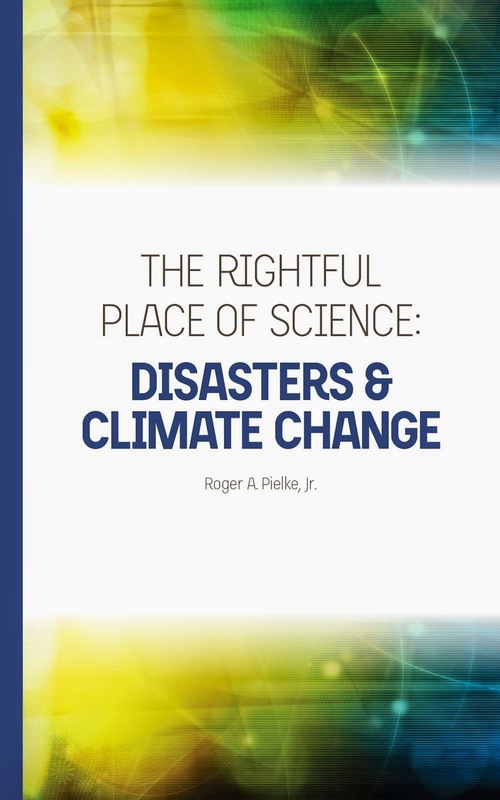 The restricted definition of ‘‘climate change’’ used by the Framework Convention on Climate Change (FCCC) has profoundly affected the science, politics, and policy processes associated with the international response to the climate issue. Specifically, the FCCC definition has contributed to the gridlock and ineffectiveness of the global response to the challenge of climate change. Pielke, Jr., R.A., 2005. Misdefining ‘‘climate change’’: consequences for science and action, Environmental Science & Policy, Vol. 8, pp. 548-561. Pielke, Jr., R. A., 2004. What is Climate Change?, Issues in Science and Technology, Summer, 1-4. The FT editorial says that we must "follow the science on climate change" -- whatever that phrase means in practice, it probably does not mean inventing political expedient definitions of climate change that are at odds with that used by the scientific community. OAQ About Roger Pielke, Jr. I am a professor at the University of Colorado at Boulder, where I am helping to implement a new Center for Sports Governance within the Department of Athletics. This blog is no longer being updated. Thanks for reading, please enjoy the archives! Does this Math Add Up? Is the Senate Climate Bill Hibernating or Dead? Dumbest Argument for Climate Action Ever?